Ever wish you could tell someone how you feel, but the words don't come? With Knock Knock's portable, communicatory Nifty Notes, you can pass judgement, spit wit, and even apologize. 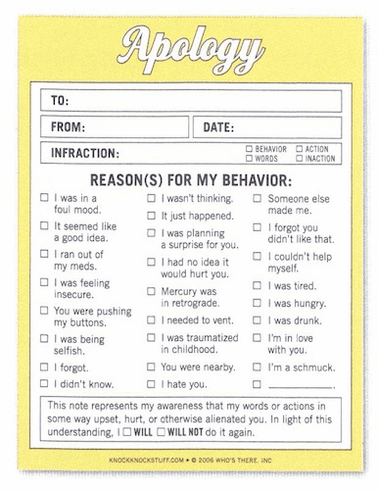 With hilarious and non-passive-aggressive interpretations of etiquette and conversation, these Nifty Notes will help you get your point across - one sheet at a time. 50 sheets. 4" x 5 1/4"